User experience design – what is it? User experience (UX) is in fact a very general term. It can refer to someone’s experience with a physical product, a customer service personnel, the interaction with a device or software. The environment in which one experiences the specific interactions with a software for example is also part of the user experience, a part we cannot control but that is important to consider. For example, product designers always think about the different situations in which their products will be used – will the button have to be pressed with gloves in cold weather, does it need to be waterproof, etc. User experience is also the knowing of what is expected and what is not; what experience is positive and what is negative. It is the consideration of all these factors brought into a single design that guides the user through such an experience to make it purposeful, to solve a problem and to make it “bumps free”, i.e. no “what now” moments. And this is a definition that is more relevant to the user experience design that we now know and refer to within the field computer systems. The above attributes can be applied not just to software but to any product or service. 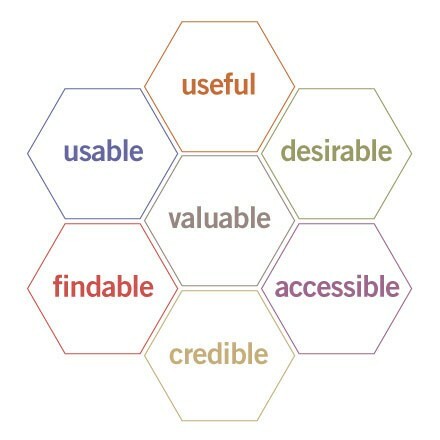 They are what ultimately makes a great user experience. In order to have a great design you don’t start by drawing, instead you need to do some research first. All of this can be done by either one person or a team of people. But whatever the situation it is a process that involved working with other people and thinking about what other people want and do. UX design applied in general can be very broad, but through time we have come to narrow down the definition of it for digital products. To have a great design we need to consider the business goals, the user goals, integrate them into a design and execute the implementation of it flawlessly, because a good design on paper can be awful when implemented poorly. And then, we must always verify if all the research and assumptions we had were come together well in the real world. ← What can you take with you?